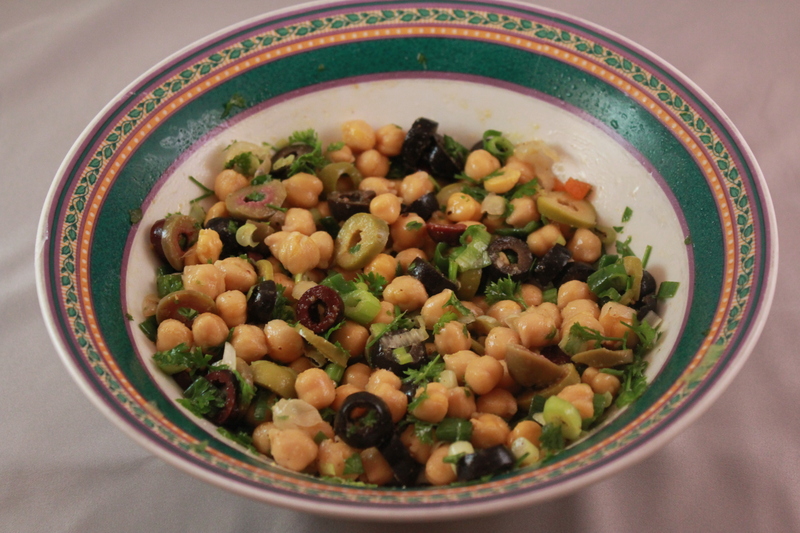 Drain the garbanzo beans and place them in a medium bowl. 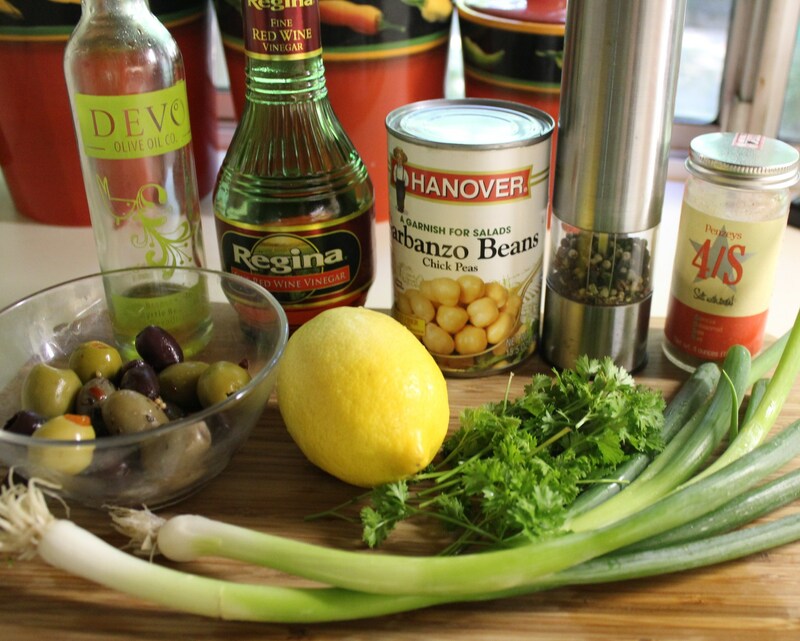 Add the olives, scallions and parsley and mix well. 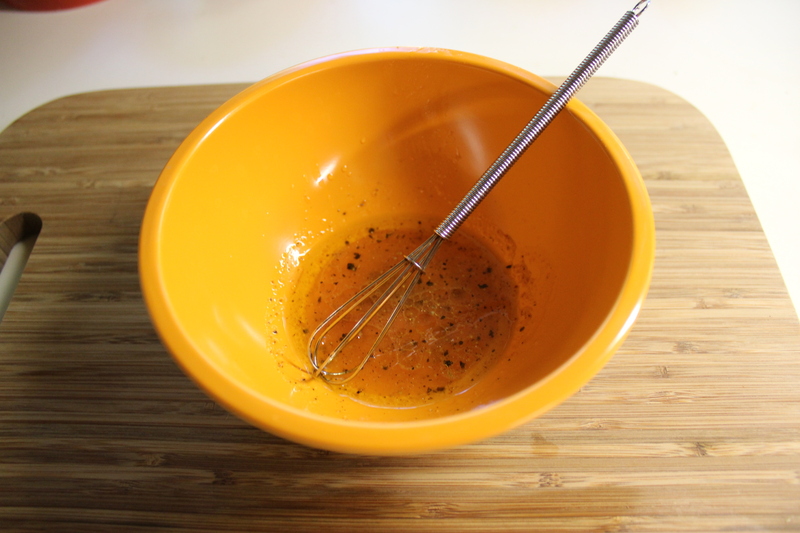 In a small bowl, whisk the olive oil, vinegar, lemon juice and salt and pepper until well blended. Pour over the bean mixture and mix well. At this point I took a taste to see if this salad needed extra salt or pepper, and thought it was lacking something. 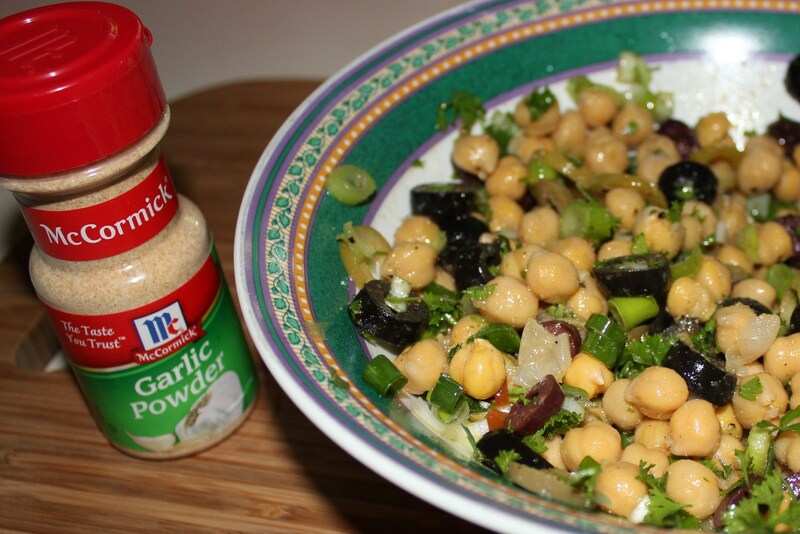 I decided to add a few shakes of garlic powder, and that did the trick! Refrigerate for several hours so the flavors can blend together and intensify. 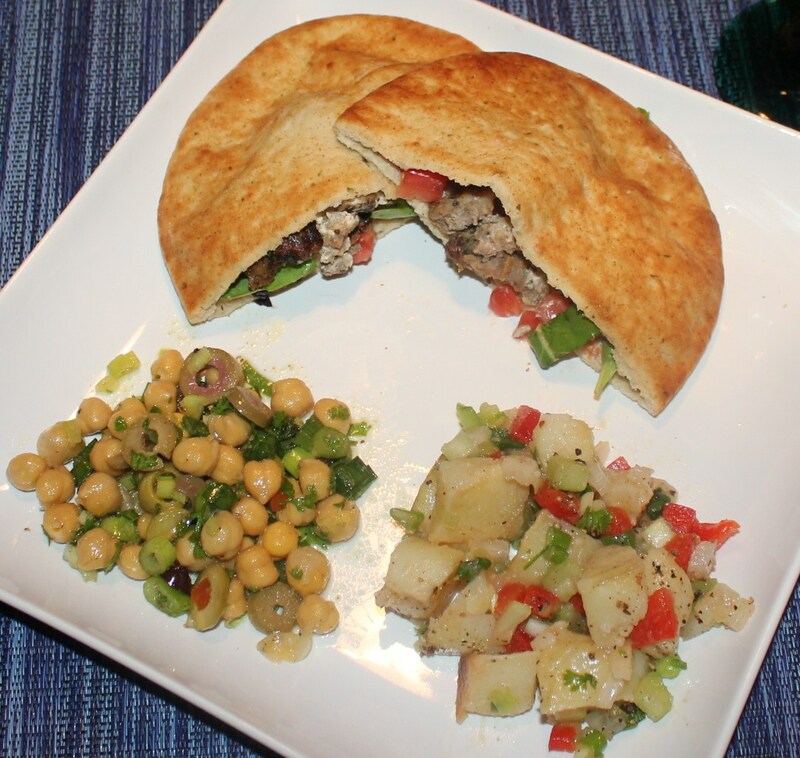 In addition to serving this garbanzo bean and assorted olive salad as a main course or as a side dish, I like to put it in pita bread with some hummus and/or tabouli. 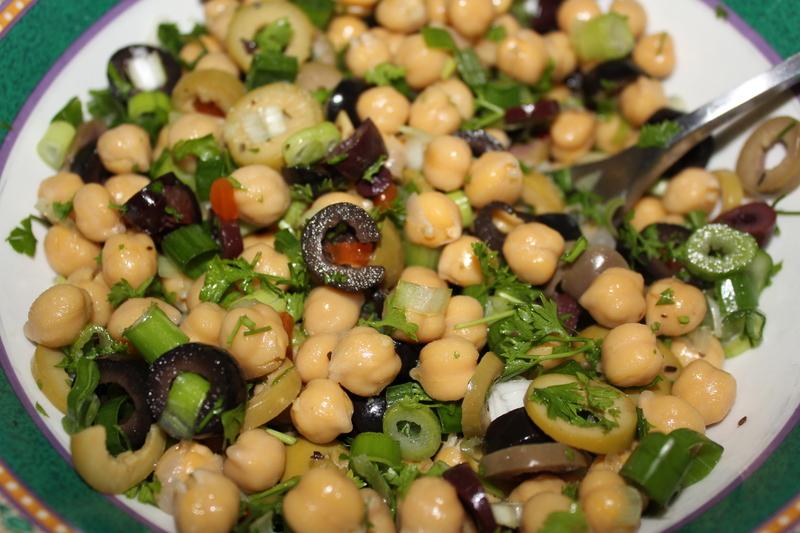 This entry was posted in Low fat, Recipes, Vegetables/Vegetarian/Vegan and tagged bean and olive salad, chickpea salad, eat drink and be merry, garbanzo bean olive salad, garbanzo bean salad, kel's cafe of all things food, Kelley Chisholm recipes, olive salad. Bookmark the permalink.